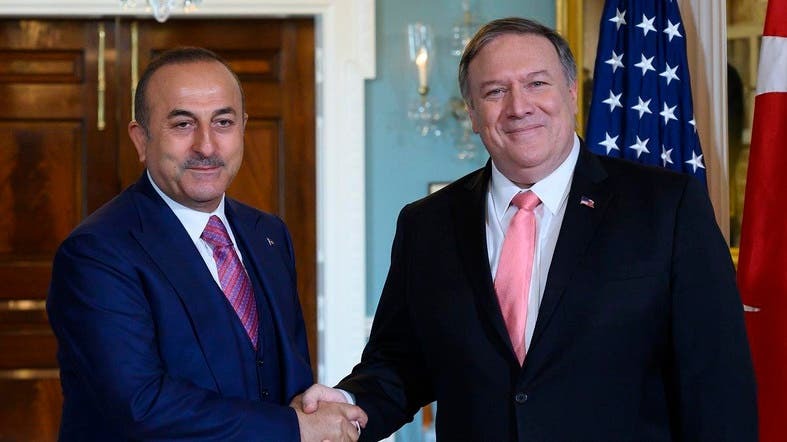 US Secretary of State Mike Pompeo warned on Wednesday of “devastating” results if Turkey strikes Syria as he met in Washington with Foreign Minister Mevlut Cavusoglu. “Secretary Pompeo expressed support for ongoing negotiations regarding northeast Syria, while warning of the potentially devastating consequences of unilateral Turkish military action in the region,” the State Department said in a statement after their talks. Turkey has repeatedly threatened to hit the Kurdish-dominated Syrian Democratic Forces, who joined Western forces in battling ISIS extremist group but which Ankara links to the separatist PKK movement at home. Fears for the safety of the fighters has led the United States to delay President Donald Trump’s decision to remove US troops from Syria. Pompeo pressed Cavusoglu about Turkey’s plans to buy the S-400 missile defense system from Russia. The United States on Monday suspended Turkey’s participation in the F-35 fighter-jet program over the deal with Russia. Pompeo also voiced concerns over Turkey’s detention of US consulate employees and US citizen Serkan Golge, a joint national jailed on terror charges amid a sweeping national crackdown.